The Short Version: Lovers of fandoms, fantasies, sci-fi, and other imaginative works will geek out over SoulGeek — a dating site made to match up fan girls and fan guys who are looking for fulfilling relationships. On this site, geeks revel in their quirky passions in a safe and judgment-free space. Forums, chat rooms, and blogs encourage a community feeling, so singles need not dive into private messaging right away. This “cyber-home of geek dating” was created in memory of Mary Kay Bergman, a voice actress and late wife of Founder Dino Andrade. To celebrate her rich life and their geeky love, he built SoulGeek as a bat signal calling together singles who have a weakness for romance and a superhuman sense of fun. Dino Andrade, a voice actor, stay-at-home father, and creator of SoulGeek, got into the dating industry not to make a profit but to make a difference. His motivation can be traced back to November 1999 when voice actress Mary Kay Bergman passed away at the age of 38. 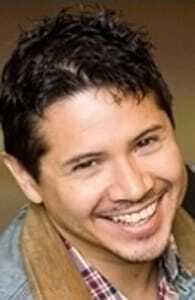 Dino Andrade founded SoulGeek to help geeks find love. Suddenly he was a geek without someone to share the joys of dressing up for conventions or reading Terry Pratchett fantasy novels. 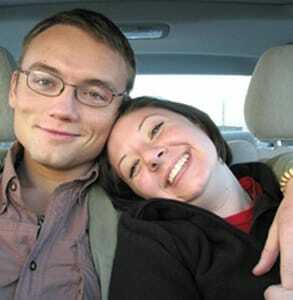 Mary Kay’s death took an emotional toll on him, and joining general dating websites only made him feel more isolated. A few years later, at a party in his hometown, he found a new hope in an old flame. He reconnected with his high school sweetheart — a geeky girl who’d attracted his attention by doodling the Starship Enterprise on her notebooks. They hadn’t seen each other in 26 years, but the spark was still there. “She came back into my life and helped put back together my shattered soul,” he said. “She just put her arms around me and has not let go.” Now married with a 6-year-old son, the family indulges in geeky events like “Planet of the Apes” screenings and at-home “Lord of the Rings (Extended Edition)” movie marathons. 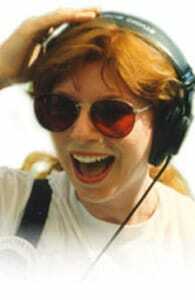 The late Mary Kay Bergman lent her voice to almost 30 animated features and 400 radio commercials. One day, as Dino and his new wife, Casey, stood hand in hand at a “Battlestar Galactica” event in Los Angeles, he noticed a young girl eyeing them. “I hope we’re not bothering you,” he said good-naturedly. She shook her head. “No, I just hope I can find a geek of my own here,” she said. Dino was floored by this comment. To him, it was unfathomable that such a cute geeky girl could be single. He felt that loneliness acutely, so he took it upon himself, in memory of his late wife, to build a place where single fan girls and fan guys could find each other. SoulGeek is a dating site made by geeks for geeks. In this space, singles with boundless imaginations and romantic aspirations share their enthusiasm for fandoms, cosplay, and conventions. Launched in June 2007, just before the San Diego Comic-Con, SoulGeek has forums, blogs, and search features to help members connect. A weekly autoscan email highlights the profiles a member may like based on his or her preferences. This feature only gets better as more people sign up and use the site. The majority of singles who join this “cyber-home of geek dating” are under 30, and Dino said he sees much geeky promise in the young generation. SoulGeek provides a geeky equivalent to mainstream dating sites, so Whovians, Trekkies, and Potterheads can celebrate their fandoms together. SoulGeek takes great pains to be a safe haven for geeky love to blossom. This means scammers and spammers shall not pass, and predatory behavior is not tolerated. The moment a duplicitous account reveals itself, the user and all posts are removed from the website immediately. Nothing is auto-approved, but an actual person reads through all profiles to ensure their validity. Passionate about giving members the best geek dating experience, the team monitors the site 24/7 and deletes inappropriate content before any member sees it. After his first wife died, Dino tried online dating in hopes of bringing an end to his loneliness and heartache. Instead, he found himself feeling pressured to conform and to lie about himself — not because he was a widower but because he was a geek. The unfiltered membership of a general dating site didn’t embrace a 30-something-year-old man who loved “Star Trek” and comic books. He built SoulGeek to be a different kind of dating site, one that fostered camaraderie and relationships among his fellow geeks. Anyone can join for free, and the cost to upgrade an account for VIP features is a minimal monthly fee. Dino only charges enough to maintain the website and a small staff. He isn’t in it for the money, but for the gratification that comes from helping others find love and happiness in their lives. Dino also hosts frequent singles meetups in cities across the country — from L.A. to Atlanta — where self-professed geeks mingle in person with those of their own ilk. SoulGeek’s success stories speak to the rainbow of forms that love can take. Many glowing testimonials sing the praises of SoulGeek and tell the story of geeks falling in love over shared interests or idiosyncrasies. After meeting her on SoulGeek, Shelockules knew Mizzyallly was the one when she quoted Eddie Izzard. Through word of mouth, SoulGeek’s Founder has heard back from many satisfied members. He tells us that at least 30 marriages and two babies have resulted from meeting on the site — and there could be more happy couples out there who just haven’t reached out yet. When a couple sent him the message that they were having a baby after meeting on SoulGeek, Dino’s heart soared. He made a special trip to Columbus, Ohio, just to hold the baby girl (named Miranda) in his arms. Dino does all he can to help people come out of their shell and find a geeky partner to share in life’s adventure. When asked about his message to SoulGeek users, he was quick to give us three pieces of advice for geeks in the dating arena. The key to being a good actor, he told us, holds true for dating as well — listen and respond. It’s not enough to stay silently in wait for your turn to speak. You need to actively hear and meaningfully respond to what that other person is saying. Geeks love to talk about their passions, but this can be an overwhelming conversational style. Dino’s advice is to take a breath from rambling about your own interests to listen to your partner tell you about his or hers. Geeks love all kinds of niche activities and stories, and that’s OK. Dino’s second piece of advice to single geeks is not to give someone a hard time for liking or not liking something. To respect one another and bond, you need to embrace the things you have in common as well as the things you don’t. Last of all, Dino recommends that single geeks get over their shyness or social awkwardness by attending a convention for fandoms they enjoy. Conventions provide the ultimate means for geeks to find other geeks. In a sea of costumes and booths, people proclaim their enthusiasm, creativity, and quirkiness. “It’s easy to strike up a conversation in that setting,” he said. SoulGeek shows up at many geeky conventions to attract members to the site. Since 2009, Dino has set up booths at Comic-Con and other conventions to promote SoulGeek, so he knows what a great opportunity it is to meet like-minded people. Members can use the convention blog to keep up with which conventions are coming where and when. For many attendees, a trip to Comic-Con is tantamount to a holy pilgrimage to the heart of all things awesome. What better place to begin your quest for love but at this hub of geekdom? From a widower in his late 30s to a father in his early 50s, Dino has gone through many ups and downs in his life, but with an unconquerable spirit, he finds a way to turn even tragedy into something positive. Through his dating site, he hopes to spread the love he’s been so fortunate to have had in his life. SoulGeek brings together people who understand and celebrate each other’s quirks. Whether you’re into “Star Trek,” “Doctor Who,” or Marvel Comics, all are welcome to post, chat, and flirt on this site. This is a deeply personal mission for Dino, who hopes his dating site inspires many long-lasting relationships in the geek community.